Classic & Sports Car is Britain's best-selling classic car magazine, and the undisputed authority for anyone buying, owning, selling, maintaining or even just dreaming about classic cars. Adding digital to your subscription allows you to enjoy your favourite car magazine on your smartphone or tablet. Digital version available on iPad or iPhone. 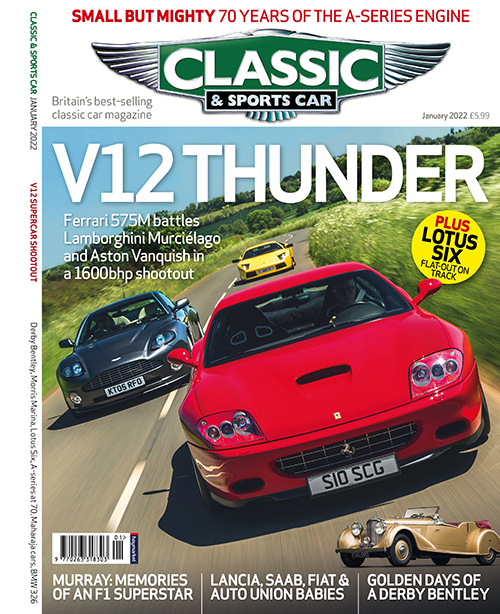 Choose your favourite offer and subscribe to Classic & Sports Car today. Welcome to themagazineshop.com - the official magazine subscription shop for Haymarket Media Group LTD. We have a great selection of titles for you to choose from, including the iconic motoring titles Autocar, Classic & Sports Car and What Car?.